Oncology is a branch of medicine that specializes in the diagnosis and treatment of cancer. It includes medical oncology (the use of chemotherapy, hormone therapy, and other drugs to treat cancer), radiation oncology (the use of radiation therapy to treat cancer), and surgical oncology (the use of surgery and other procedures to treat cancer). If you are passionate about helping people overcome cancer, there are a variety of career options in this field, which is growing rapidly due to the prevalence and growth of cancer incidences in the U.S. and worldwide. Although oncology is a very rewarding field, it can also be one of the most challenging and stressful due to the serious nature of the disease, which can make people very sick and sometimes terminally ill.
Are you up for the challenge? If so, here are some examples of careers in the field of oncology. Clinical nurse specialists are advanced practice registered nurses who hold a master’s or doctoral degree in a specialized area of nursing practice. Oncology is one of many fields in which a clinical nurse specialist may specialize. Clinical nurse specialists provide direct patient care, serve as expert consultants for nursing staffs and take an active role in improving health care delivery systems. Clinical nurse specialists often work in management positions and may also develop or work with a team to develop policies and procedures. A physician who specializes in cancer treatment. They usually lead a cancer treatment team, composed of a number of different healthcare professionals who work together to provide comprehensive treatment for cancer patients. The path to becoming a medical oncologist involves completion of medical school, a residency in internal medicine, and an oncology fellowship. Following these eight to 10 years of education, oncologists can expect to earn a lucrative salary in a field with strong predicted job growth. Medical oncologists must be highly competent clinicians, and be able to effectively communicate with patients. 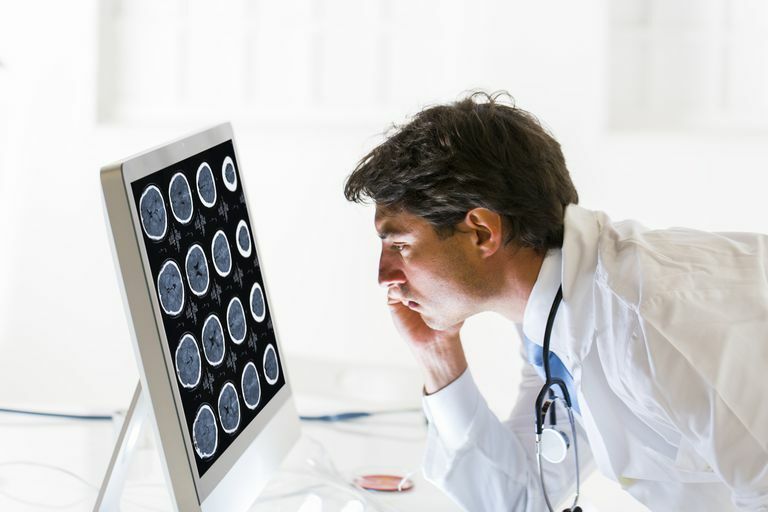 A physician who specializes in diagnosing and treating diseases and injuries using medical imaging techniques, such as x-rays, computed tomography (CT), magnetic resonance imaging (MRI), nuclear medicine, positron emission tomography (PET) and ultrasound. Radiologists are often involved in the diagnosis of cancer, and sometimes help pinpoint the location of tumors for targeted treatment. An allied health professional who helps administer doses of radiation to shrink tumors. Radiation therapists work in hospitals, offices of physicians, and outpatient centers. Most radiation therapists complete programs that lead to an associate’s degree or a bachelor’s degree in radiation therapy. Radiation therapists must be licensed or certified in most states. Requirements vary by state but often include passing a national certification exam. Administers chemotherapy to help shrink tumors. A minimum of a master's degree will be necessary; however, a Ph.D. is required for many areas of concentration. They must gain clinical experience through a residency and pass examinations to become board certified. Nursing and physician careers are available in palliative care and hospice to help patients maintain comfort and dignity in their sickest, often final, days.